Sberbank denies plans to sell Ukrainian "daughter"
The establishment says it is a profitable business. The deputy head of Russia's Sberbank Aleksandr Morozov said that the institution has no plans to sell its Ukrainian "daughter". "We have no specific plans on this issue to date," RIA Novosti quoted his statement made on 25 May. Morozov said that SberbankUkraine was a lucrative business. "We are doing everything we should do in such a situation, limiting as far as possible the risks incurred by the bank in this jurisdiction, but continue to fully function as a banking institution, one of the leading institutions of the banks remaining on the territory of Ukraine," said the banker. The Russian newspaper Kommersant last week alleged that the Russian state-owned Sberbank, VTB and Vnesheconombank are looking to sell their subsidiaries in Ukraine. The sources of the publication claimed that Sberbank was negotiating the sale of its "daughter" though to no avail so far. Nevertheless, the bank continues to look for a buyer, Kommersant wrote. 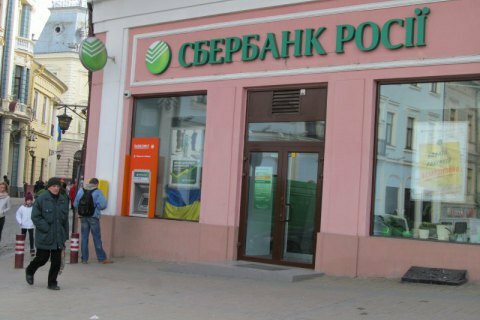 Sberbank, with its 56bn hryvnia assets, is the fourth largest in Ukraine after Privatbank, Oschadbank and Ukreximbank.